Give a Dam! is an iPhone game developed by PT.Nightspade Multi Kreasi. 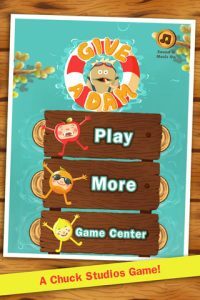 Give a Dam! 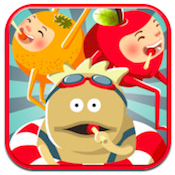 is a tie-in game to support Chupa Chups, the beloved makers of lollipops in numerous fruit flavors. 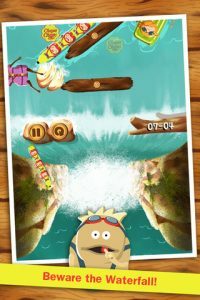 Part of the development credit also goes to Chuck Studios: this is their first iPhone game release. Give a Dam! is a bit like a watery Tetris. You send various fruit people of different shapes down the river, where they (ideally) get caught in the bottleneck of boulders right before the waterfall. 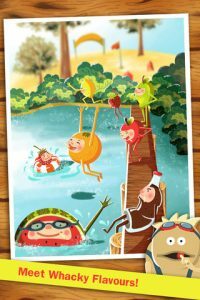 It’s a matter of sink or swim: you’ve got to place the fruit characters just so in order to prevent them from going over the edge. The music is great, and really melds with the visual style of Give a Dam!’s character designs. Also great: the fact that there are 120 levels to play through. Some of those early levels are painfully easy. 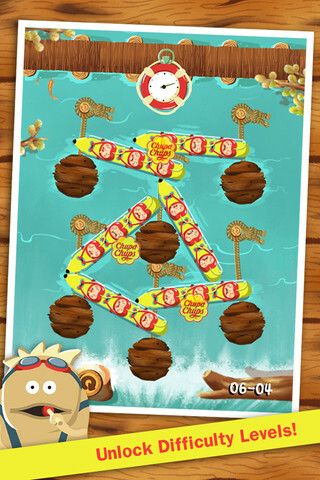 Thankfully, as players manage to unlock additional levels, the level of difficulty takes a steep upward turn. You can also boost your score in later levels by getting your fruit guys to stack up in such a way that they span across the Chupa Chups logos scattered across the screen. One thing that’s kind of annoying is the way that upcoming fruit guys are scaled down, making it hard to plan ahead for your next moves. They only appear at full size just before it is their turn to drop into the swirling water. In short, Give a Dam! is a pretty decent iPhone game. With a low price and tons of content, this puzzle title is worth looking up. 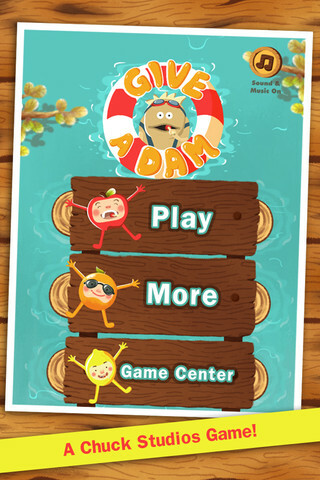 Give a Dam!is compatible with iPhone, iPod touch, and iPad. Requires iOS 4.3 or later.